A seersucker suit is one best thing that you should have on your wardrobe if you are a stylish man who loves to dress according to the season and needs. When you plan for a summer holiday or want to enjoy this summer with great time outside partying and doing anything interesting, you will have to prepare yourself for the process. As we all know summer is the best time of the year when you can actually let yourself loose and enjoy stuffs around you whole heartedly. Though you might be facing a bit of difficulties in adjusting with the humidity, the rest of the part where you enjoy the climate is surely one thing to take pleasure in. You will not want to get dressed up completely in a suit that will make you feel sticky on a sultry day if you need to attend a high profile party or anything of that sort that requires you to be in a suit. 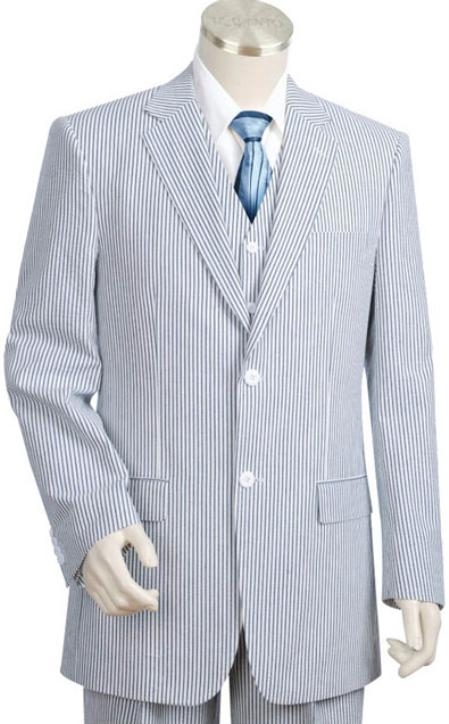 You will have to face the situation and still stay cool with your smart choices of summer friendly suits. When we talk about a few best friends of summer season we get seersucker suits, cotton suits and linen suit in our mind but, it is time to get dressed in a way that many men might not opt to and look different yet smart. Many men forget that seersucker is their best friend for a situation like this and just choose a normal cotton suit in most cases. Now it is your time to react in different way by choosing his fashionable suit that can keep you as cool as a cucumber through the time you wear them on. 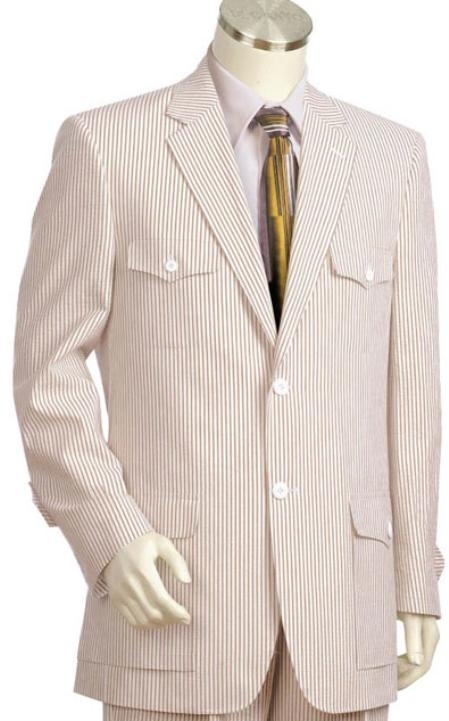 Seersucker is now one of the first choices of men who love to dress trendy as fashion designers make aplenty of suit varieties out of this full cotton fabric.